CARLSBAD, Calif. /California Newswire/ — Carlsbad attorney Stan Prowse was approached by the Andrea Kaye Financial News and Talk radio show in early 2013 to participate in a "Legal Eagle" series of segments focused on Family Law. 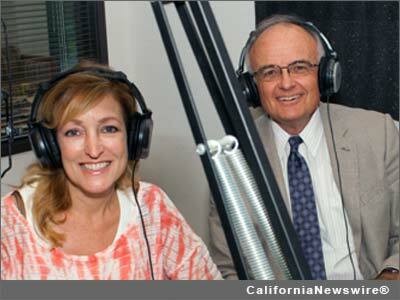 Since that time seven segments have been produced and aired live on AM1450 San Diego and AM1510 Las Angeles. "This has been a valuable opportunity allowing us to reach people who might not come across our web site. Andrea also raises new issues in our conversations. Everyone learns something every time she has me on the show. She's great!" says Stan Prowse. With the impact of divorce on families today the segments have sought to cover the wide variety of difficulties couples may face when either contemplating or going through a divorce. Topics such as legal separation verses divorce, contested and uncontested divorce, child custody issues, senior divorce and the expenses of divorce have all been covered in a helpful informational manner. These radio segments are ongoing with new topics covered every two weeks. The existing segments have also been provided on the Stan Prowse web site at http://www.stanprowse.com/legal-eagle-radio for easy listening at any time. The Andrea Kaye Show is a unique "variety hour show" unlike anything broadcast in San Diego and Southern California. Andrea Kaye, "Dynamite in a Dress," is an actor, on camera spokesperson and host. The Andrea Kaye Show combines business, political science and entertainment experience into an exciting hour of hot topics, political debates, celebrity interviews, entertainment reports, topical business discussions, contest prizes and more. "Divorce is a painful subject that I had no personal experience with until recently through a close family member. Since The Andrea Kaye Show is a forum for both information and entertainment, I wanted to help others who were facing similar situations and didn't know where to turn. I searched for months until I found the BEST family law attorney in San Diego to help my listeners with advice, tips and encouragement," says Andrea Kaye. Attorney Stanley has been practicing law for over thirty years. Stan is a graduate of J.D. Harvard Law School '73, M.A. Columbia University and B.A. Yale University. Stan has also served as a Mediator, Judge Pro-Tem and is a Certified Family Law Specialist, Licensed to practice in California, Maryland, Washington D.C., and Georgia. For more information, visit: http://www.stanprowse.com/ .